“And now, compelled by the Spirit, I am going to Jerusalem, not knowing what will happen to me there. I only know that in every city the Holy Spirit warns me that prison and hardships are facing me. However, I consider my life worth nothing to me, if only I may finish the race and complete the task the Lord Jesus has given me—the task of testifying to the gospel of God’s grace” (Acts 20:22-24). Recently, I was doing my daily walking of two miles and in front of me there was a walker with this statement on the back of their shirt: “Finish the race and complete the task” (Acts 20:24). This is cited above from Paul’s speech to the elders of the church at Ephesus where he had labored for three years. Paul and other inspired writers were familiar with the Olympic Games and by metaphor applied the principles to the Christian race for the Victors Crown of Life. And so today many are motivated by these Biblical statements to “finish the race and complete the task” of some race for charity or a min-marathon. It works both ways. We are inspired by victorious athletes and athletes are motivated by the victorious servants of God who have won the crown of life. One of the very best congregations mentioned in the New Testament is the church at Philippi located in Macedonia. This church is commended for the many good things they were doing and hardly any criticism is given. In keeping with the ancient games, Paul exhorts them to “run the race and complete the task” before them: “Brethren, I do not count myself to have apprehended; but one thing I do, forgetting those things which are behind and reaching forward to those things which are ahead, I press toward the goal for the prize of the upward call of God in Christ Jesus” (Philippians 3:13-14, NKJV). There are several principles here that apply to sports winners and Christian victors. 1. Paul did not consider that he had arrived at complete maturity in Christ. He was always laboring to be a faithful servant of Christ and to grow in the grace and knowledge of the Lord. Victorious athletes are always honing their skills and strengthening their mind and bodies to compete in the contest. Every Christian must do the same so we will not fail and fall from the grace of God. 2. In order to be victorious an athlete must concentrate on the fundamentals and not become sidetracked with minor issues. So too must we! Paul said, “But one thing I do.” It is better to have one overriding GOAL than to be aiming at too many things and become sidetracked from our objective. Our one goal is to win Christ and heaven. 4. The victorious life in Christ is “forward looking!” We must reach “forward to those thing which are ahead.” As we come closer to the finish line of life we must “reach” for the “homestretch” and give it all we have for Christ. 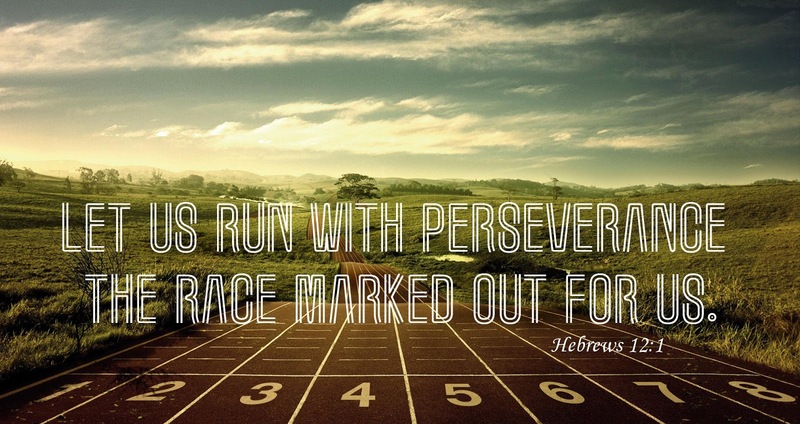 “Therefore, since we are surrounded by such a great cloud of witnesses, let us throw off everything that hinders and the sin that so easily entangles, and let us run with perseverance the race marked out for us. Let us fix our eyes on Jesus, the author and perfecter of our faith, who for the joy set before him endured the cross, scorning its shame, and sat down at the right hand of the throne of God” (Hebrews 12:1-2).